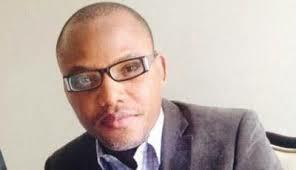 NNAMDI KANU HAS SET THE PACE...BIAFRANS FIGHT FOR YOUR HERITAGE: BIAFRA- FREEDOM!!! When I hear or see people talking about Biafra in non committal tones I feel horrified. Our hope, solace and home lies in her bosom. Many years of being kept ignorant and the lack of genuine story-tellers have negatively affected the minds of Biafrans. Today, they love other lands more than their rich birth places. They spend millions in building and developing other states, nations and places whilst Biafra is neglected. They sit at ease in Babylon (other lands) and remain put even when they are exploited, marginalized and often killed. The big question remains unanswered and for many decades have remained same. Today, an awakening has aroused us from deep slumber and like a fiery dragon, is out to destroy all the misconceptions about Biafra. We must with open arms, full of love and affection embrace our heritage. There is no singular reason to be ashamed of her or to neglect her. She is a beauty with all the natural, physical and technological prowess required to be successful and progressive in life and as a nation. This is the reason, the government of Nigeria has refused to let her go. She (Nigeria) has become a clinging parasite and would do anything to keep her. Nigerian government has perpetually killed us when we start to question her audacity over our resources. She flourishes from our wealth and keeps us in check by impoverishing us. We resemble fools as we dance to her music, longing for her pleasures put in place by our wealth. Biafra is our heritage and we have woken up. Late Dim Odumegwu was forced to declare Biafra when Yakubu Gowon breached the Aburi accord. He (Gowon), with assistance from Britain, misled the world, the Middle Belt, and our own Ijaw brethren to war against us. Biafra though not physically prepared fought valiantly, and stood for over three years. The war was declared NO VICTOR, NO VANQUISHED! Therefore we must be proud of our legacy. They killed us, really, they starved us wickedly by pledging oil field Bakassi to Cameroun, just to blockade food and relief materials into Biafraland. After the war, they seized all our monies in the bank, all our buildings in their lands, they took over and declared them abandoned property. We were only allowed a token of twenty pounds - individually. They used our seized money to refurbish and rebuild their lands. Yes, that was the history of 1967-70! BIAFRA was ignored and remains neglected till date while with vigour, they milk dry our oil wells which they have greedily acquired for themselves. Unabatedly, our resources have been used to furnish their lands and we stupidly encourage this by investing into their lands. We buy property at exorbitant prices, we develop rural areas and build plazas for various market purposes and we still pay enormous taxes for these. They would drive us as flies from one place to the other, yet we adamantly remain like stubborn fly awaiting burial with corpses. WHY? Biafra is our heritage, and needs our attention. She has many untapped resources. Her land is rich for agriculture, mineral resources like oil and gas, palm oil, salt, coal, gold, etc are plenty in her. She has all it takes to be cosmopolitan. There are River Niger, Gulf of Guinea, etc for marine exploits, many waters in her harbour; fish, crayfish, etc in them for consumption and sales. We have our species of sheep, goat, chicken and cows for breeding and consumption. Biafrans can easily export cassava, Abakaliki/Anambra rice, palm oil, etc. Many can go into breeding Fish and Snail, etc. So, what are we looking for in other lands? They are the ones, who should come seeking enterprise from us. Our Aba/Biafran made Shoes, Cars, Buses, Textile, etc equals any counterpart in the world. Our Biafra is a beautiful bride. We don't need to be forced home before we realize our worth, we do not need to be killed for our religious belief, we do not need to leave our backyard porous for invasion because we ply other lands. How funny it is that while we are occupying other lands and struggling to make ends meet, the foresighted aliens are invading our lands and trying forcefully to take our own land. God forbid! If it happens, where will you call home? Director Nnamdi Kanu is heavily paying the price of revealing the truth about the Biafran status in this illegitimate country, Nigeria. How can a European give us a legacy? We need to think right and choose right. We are at a crossroad and our destiny lies in our hands. 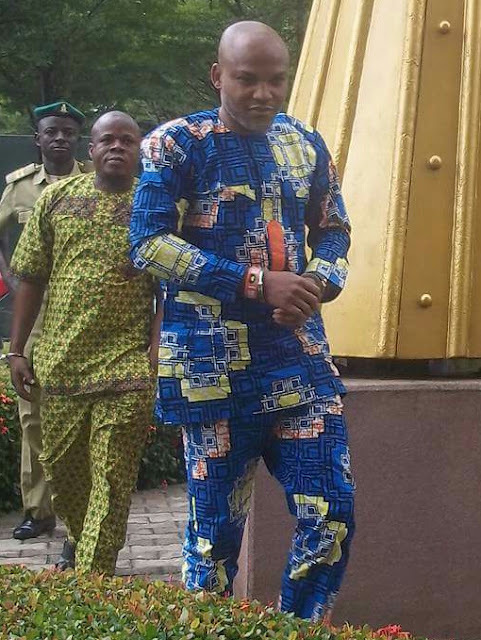 Nnamdi Kanu has set the pace, and he has been proven correct. Will you rise up and take the bull by its horn? The answer lies with you.